Marketplaces and prices shown matched UPC number 791321437773 during our search. Makes for an imaginative outdoor playtime at home, rainy day activities, Birthday party games, and a Halloween costume party. 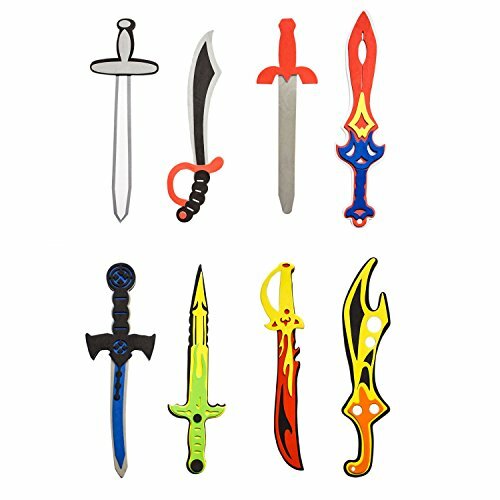 A set of stylized toy foam swords kids toys for fun medieval play time. With a variety of 8 unique sword designs including Ninja, Pirate, Warrior, and Viking swords. 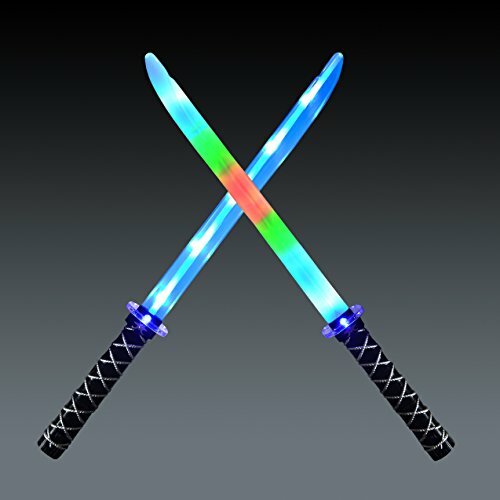 Fun and colorful set of 8 foam swords. Essential in your birthday party supplies for your next backyard barbecue, beach party and many kids party games. These kids toys are perfect for school plays, theater props, pirate halloween costumes, and party favors. Compliments a child's pirate costume as the main accessory. Make them the go to party games child's play activity swimming pool toys. 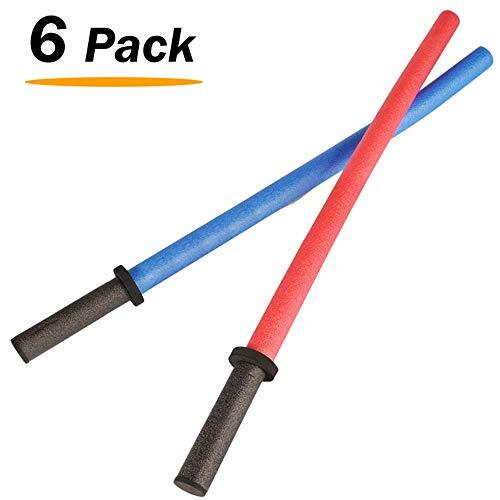 Light weight and soft enough for play fight battles since the toy swords are made of thin layered felt material. 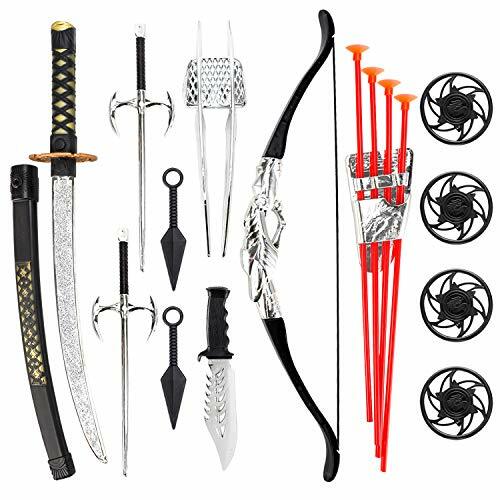 Slash the competition with these active fun toy foam swords. Make a great kids warrior knight halloween costume and with since there are eight different designed blades, creative themes and accessories can be utilized. Each sword measures 15" to 17" in length. Comfortable, light weight and safe for small children. Have them in a kids toy box along with sports balls and use as ninja toys, pirate toys and birthday party favors. When it's time for some hand-to-hand blade action, these hot new toys are the ones you seek! Makes the perfect prize for kids at birthdays, for halloween props, and as party favors for adults. Fake foam toy kids toys safe play for young boys and girls. Design styles are inspired from pirate, knights, ninja and viking weaponry. Use these hot toys as haunted house props and halloween decorations. Each foam sword measures from 15" to 17" in length. Suited for ages 3 and up.